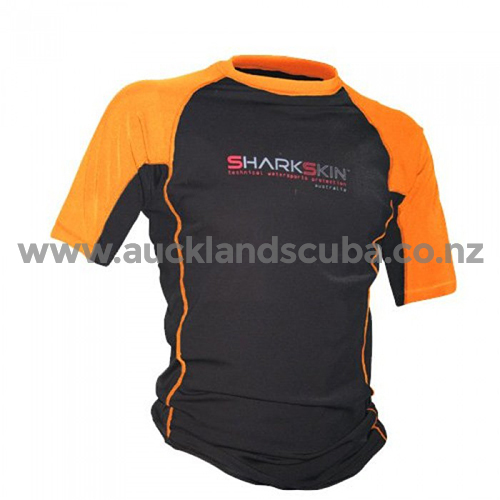 The short sleeve Rapid Dry top is cut in a loose T-shirt design making it the perfect summer top for during and after watersports wear. Great looking technical T-shirt for in, on and around the water. Available in black/white, white/black, black/hi-vis orange, hi-vis pink/black and blue/white. Providing ultimate protection from the sun and drying in literally minutes, the loose stylish cut means your Rapid Dry garment is the perfect choice both on and off the water. Rapid Dry is a lightweight, fast drying fabric in which the material is ‘infused’ and then ‘heat set’ with a water repellent treatment (WRT). This method achieves a finish that is vastly more effective at shedding water and lasts much longer than traditional fabric treatments. The Rapid Dry fabric is warmer than cotton and nylon/lycra synthetic fabrics when wet. It has an SPF50+ rating for full sun protection, is lightweight, breathable and durable.